The Knight is the piece that often looks like a horse - well, a horse's head. Each player begins a game of Chess with 2 Knights on the board. It is often one of the Pawns that moves first, at the start of a game ... Often, but not always, as the Knight's ability to jump over pieces allows it to be the only other piece that can make a move at the very beginning of a game. The Knight is also unique in the way it moves ... Whereas other pieces go in straight lines - be it on the straights, or along the diagonals - the Knight moves in an L-shape. It goes either two squares forward and one to the left or right; or one square to the left or right and two squares forward. Which you choose will, naturally, depend on potential for positional advantage, capture, to avoid being captured, or for lack of options when your other pieces are blocking certain squares within the Knight's legal range of movement. Being a war game, the Pawn is kind of like your common foot soldier - often the first ones into battle, while being more expendable than those of a higher rank, such as the Knight. In total, each player begins a game of Chess with 8 Pawns on the board. On a Pawns first move, it may move either 1 or 2 squares forward, depending on your opening strategy. However, thereafter, a Pawn may only move one square forward per turn and it can never move backwards. As for capturing, a Pawn can only capture on either one of the diagonal squares in front of its current position. This means that when another piece is on a square directly in front - on the straight line, your Pawn is stuck and cannot move forward until the blocking piece moves, or an enemy piece is within legal range for capture. At the start of a game, each player has 2 Bishops on the board. One patrols the light-colored squares; the other goes along the dark-colored squares. As for range of movement, the Bishops move only on the diagonals but are able to go from one corner of the board to the other, on their colored squares. This makes the Bishop a great, long-distance threat to your opponent - though, obviously, the flip side is your pieces are at an equal risk from the enemy Bishops. When it comes to relative value, two Bishops are considered more valuable than either two Knights, or a Knight and a Bishop working together. Though, of course, the threat of the two Bishop pieces are only as good as the skill of the player who controls their movement. Each player gets 2 Rooks, at the start of a game of Chess. Their range of movement is along the straights - if they have the space, they can get from one side of the board to the other, in a single move. The Rooks are most effective in the middle of the board. As they start a game in the corner squares, part of your opening strategy will be to, somehow, bring your Rooks inwards, while trying to mobilize your other pieces, ready for the carnage that takes place during the Middle game stage. Two Rooks operating together can be more potent than a single Queen, if used wisely. The obvious threat is from the diagonals, which means one of the greatest threats to the Rook are from the Bishop and Queen, at distance; while at more close-range, Pawns that have good support can also prove hazardous to your Rooks. The Queen is by far the most potent, attacking piece on the board. At one time, when the game of Chess was played in medieval times, the Queen was restricted to one square move per turn and only on the diagonals. She was a much weaker piece back then. However, it must have been when danger is looming that the Queen, in a game of Chess, suddenly took on a more devastating range of attacking options. She combines the diagonal power of the Bishops, with the straight-line threat of the Rooks. Even with the Queen's attacking prowess, the King is your most precious piece on the board. If it is attacked in such a way that there are no legally-safe places to move, your King will find itself in a situation known as "Checkmate" - and you'll lose the game, immediately. It doesn't matter if you have all your good pieces still on the board, if your King succumbs to Checkmate, its game over! So, use your pieces wisely, to protect your King, while you somehow exploit weaknesses in your opponent's setup. Does this mean a King is totally useless? It's vulnerable, for sure, but the King can work to secure a Win - though not on its own; you'll usually have a majority of pieces, over your opponent’s. The King can be used to capture stray Pawns and, as Kings cannot be next to each other, on the board, you can use your King to tactically cut off escape routes for the enemy King. Do you want to become a stronger chess player? 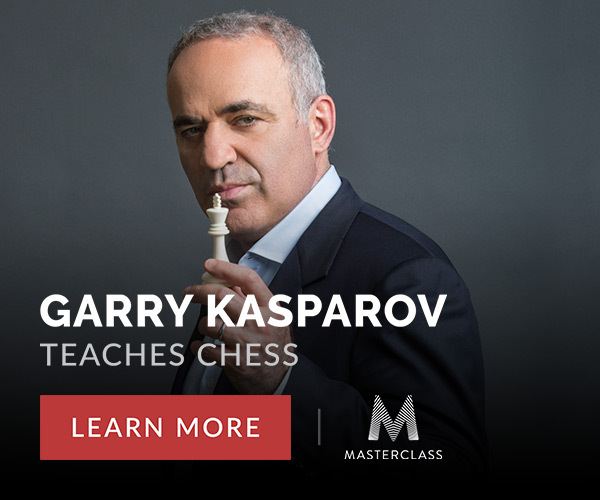 Why not improve your instincts and skill with lessons from Chess World Champion Garry Kasparov?